The Artful Maven: An Altered Easter Egg Challenge!!! Hello again this week! 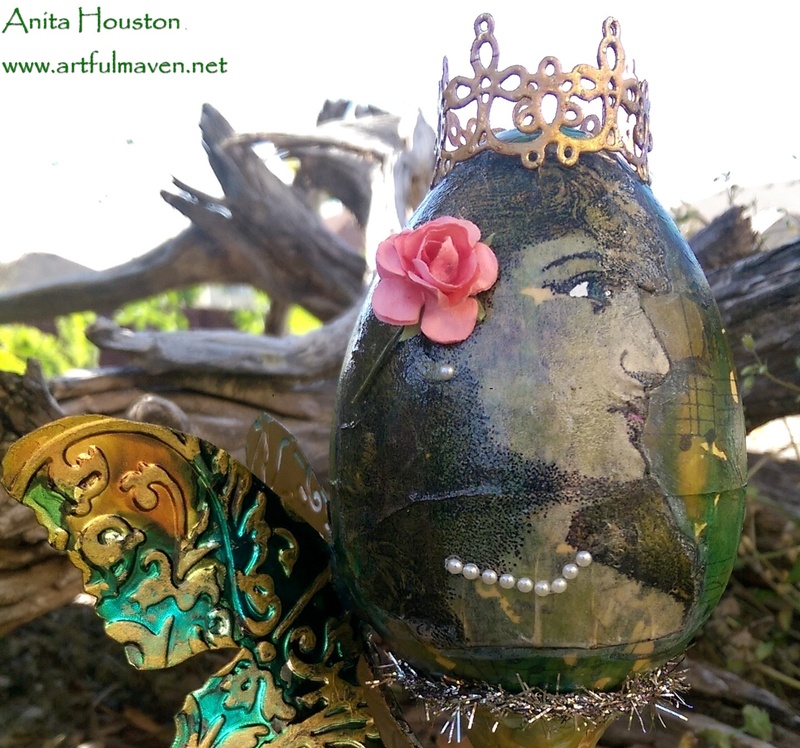 I'm back to bring you a little Easter challenge piece between myself and my bestie Carolyn Ross who owns The Crafty Scrapper. I was so fortunate to have some extra time to just hang our with her and have a play day! 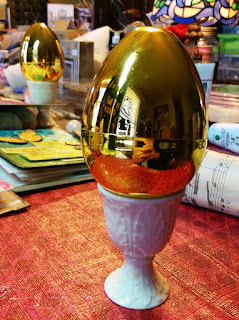 We took a gold plastic egg, and challenged each other to alter it in our own style. Here is mine, on the right, and please visit her website to see how she created hers on the left...all comments are much appreciated! I LOVE how they both came out, and we agree that it was not only such a fun time, but also some of our best Easter work! And since Ranger Ink is having an Egg Challenge, I'm actually submitting this...can you believe that?!! It's been eons since I joined a challenge. We purchased the Lennox Egg Cups from one of her employees, Lori, who sells awesome vintage goods at the shop, and picked up the egg from the grocery store. You can see hers in the background. I adhered the egg together, and gave it a light coating of Dina's Gesso. 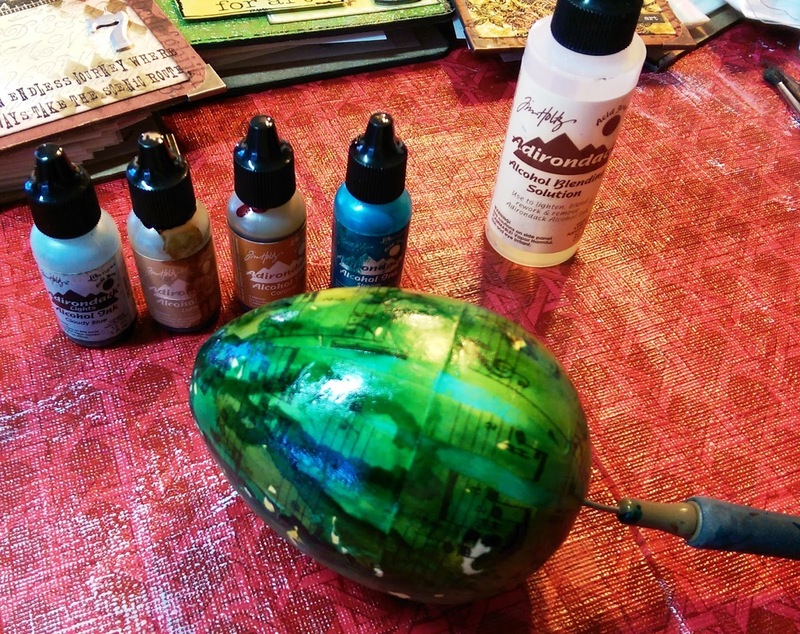 I covered the egg with Tim's Composer Tissue Wrap with some Ranger Multi Matte Medium. I also decided to flip my egg holder over the other way. I stuck the egg on a craft pick, and then took it outside in the grass for the next part. 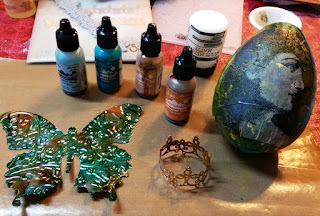 I doused it with Alcohol Ink Blending Solution, and then added drops of Alcohol Ink, all the while spinning it to make marbling and drips. I LOVE doing that!!! 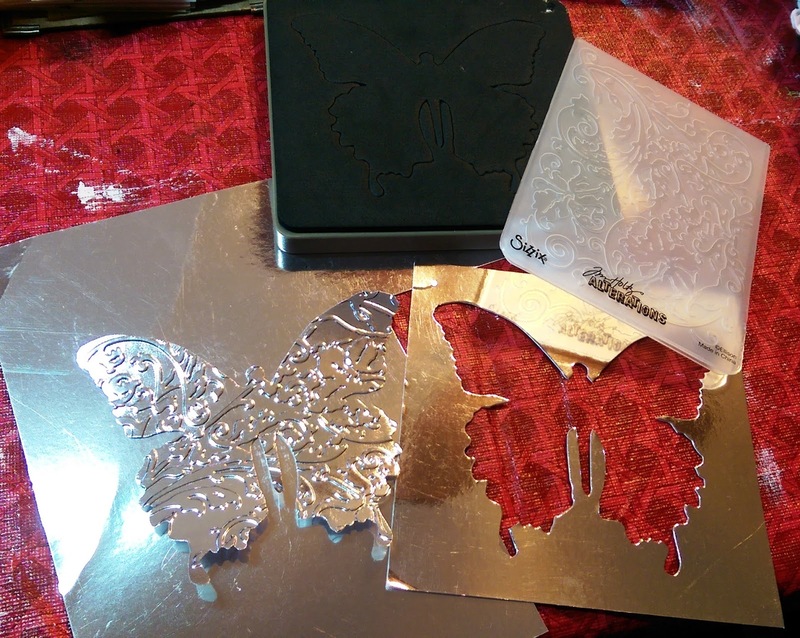 I die cut the butterfly from Silver Metal Foil and cardstock, and then embossed it with an oldie but a goodie, the Springtime Texture Fade. I also used the same foil cardstock to die cut the new Lace Thinlets from Tim and Sizzix to use as a crown. Oh my gosh, I LOVE this die!!! It's already a favorite and I will be using this one a lot! It's so intricate and just plain gorgeous! Have I said how much I LOVE this die?!! Good designing Tim!!! 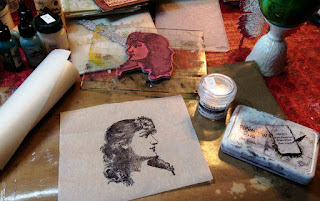 Then I stamped Tim's Lady Rose from Stamper's Anonymous onto the new Plain Tissue Wrap, and heat embossed it with Clear Powder. 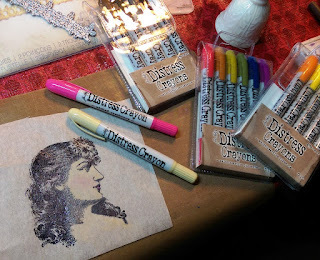 I colored the face with Distress Crayons...my new go to fav for pigment sticks. They glide effortlessly with a warm finger over the Tissue Wrap...I love that. I used the water brush and the crayons for her lips and eyes. This tissue and the Distress Crayons are really a fabulous match...I encourage you to try them together! I cut her out and adhered her over the egg with Multi Matte. I colored in her eyes with a white pen. 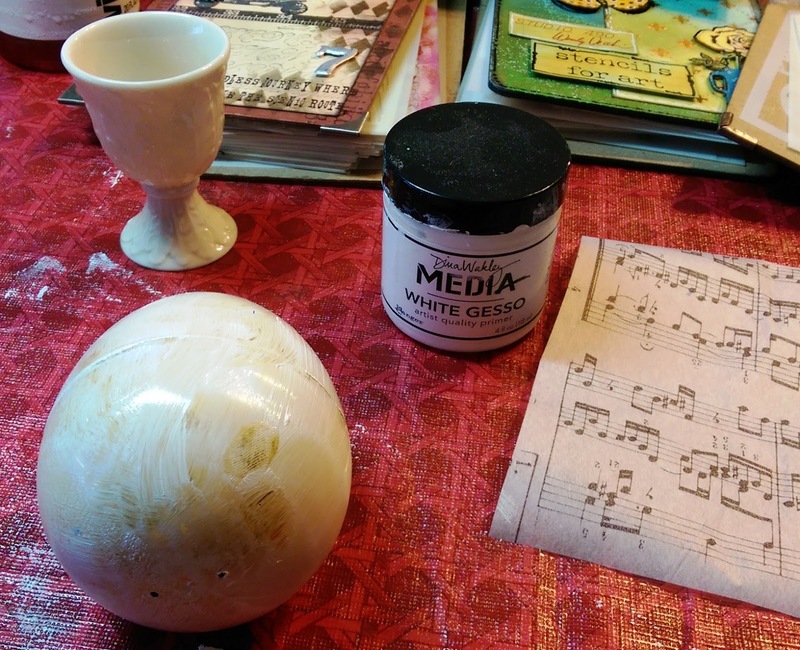 The tissue don't not melt into the egg...so to speak like with a lighter weight tissue...but it doesn't leave hard edges either, and I like that! Great stuff! I colored the butterfly and crown with the Alcohol Ink, and then used Gilt Heavy Bodied Paint from Dina over the raised areas of the butterfly. 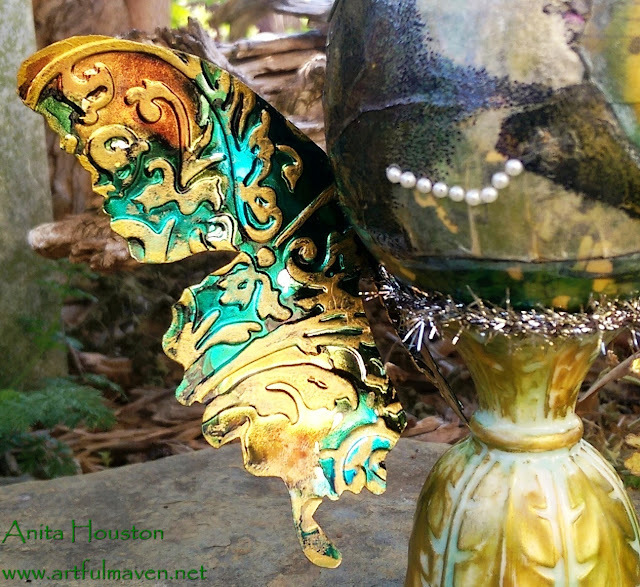 I also used Alcohol Ink and the Gilt to paint in the egg holder. I colored the Tinsel with Latte Alcohol Ink and adorned Lady Rose with a rose and pearls. Then everything else was glued on with Multi Matte. I'll be back again this week. Thank you all so much for looking, for commenting, and for supporting! I hope you have a crafty friend that you too can challenge to make some great art. What would we do without our buddies?!! 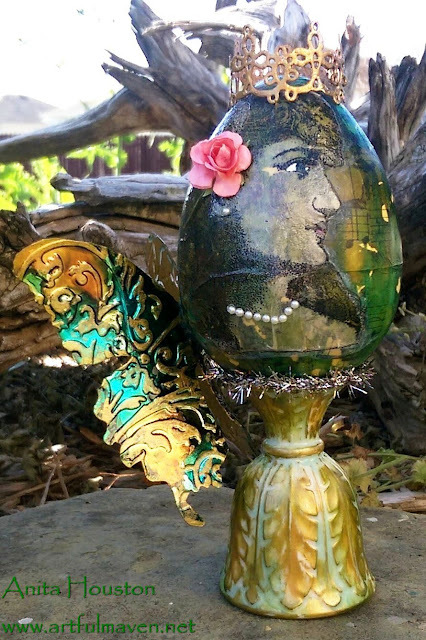 Fabulous altered eggs Anita, love the butterfly wings and gorgeous crown you created and the wonderful mixed media feel to it. 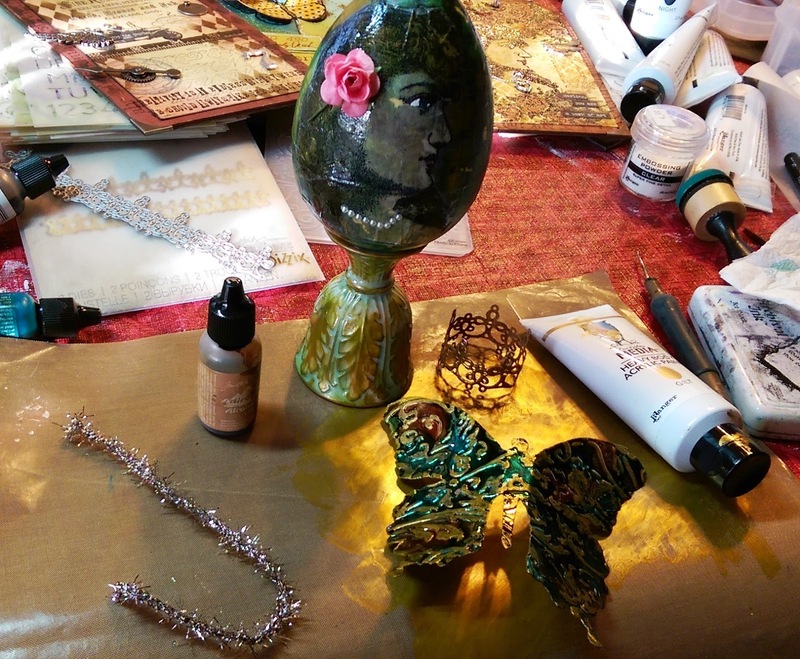 How lovely to have a crafty day with a friend and time to create together. Happy Easter. she is stunning!!! i love love love her! i must try the 'marble' effect and her pearls are definitely a finishing touch! i wonder if i have enough time to enter that challenge !!! off to see Carolyn's! OMG !!! this is so fabulous Anita................looks totally awesome and I loved the amazing colours set off by the stunning wings. You certainly had a great time creating this. This challenge was a blast, pushed my creativity! Best time ever! I LOVE how your egg came out, the egg cups were a great idea. I just might enter the Ranger challenge. Love ya girlfriend. You gals obviously had a great time! What fun to get to see how y'all MADE your eggs, too!!! Thanks for sharing these memories! Like I said, on Carolyn's page: Nothing better than crafting with your best friend! 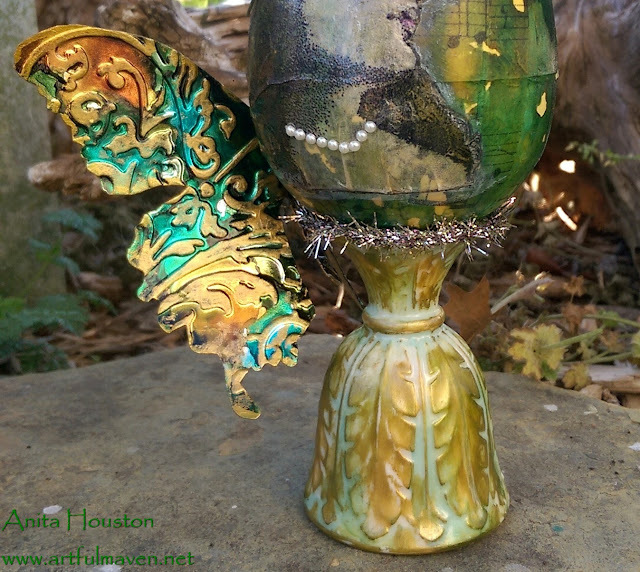 Amazing work of art, Anita! Your attention to detail on this one is incredible! Love it! Seriously gorgeous!!! What a great idea! 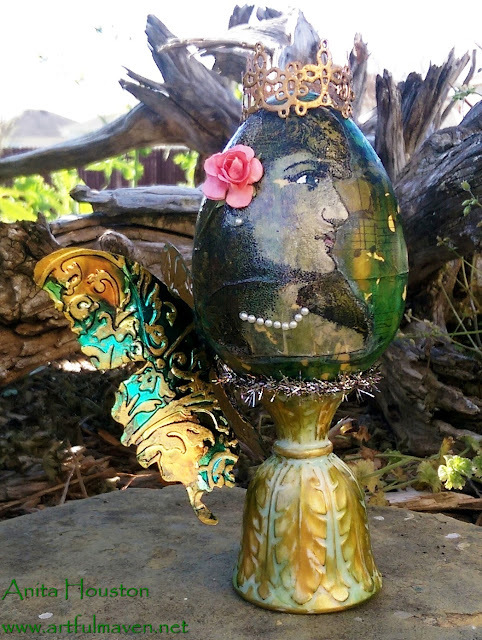 The egg is fabulous!!! Thanks for the inspiration. 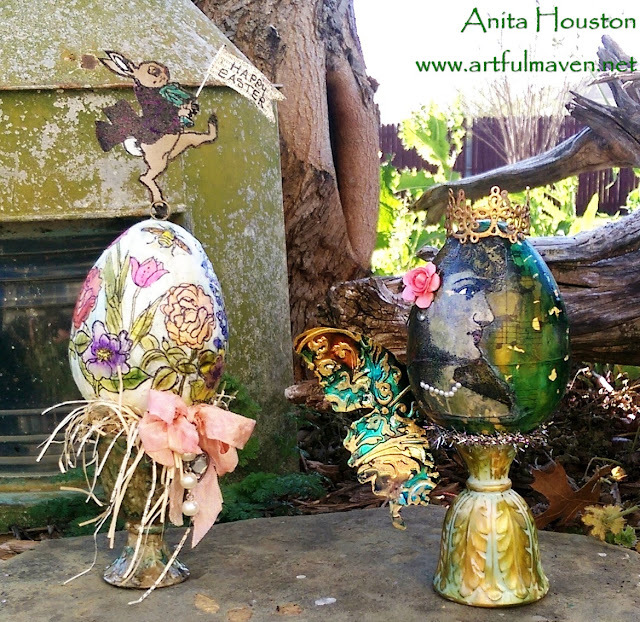 Wow, wow and more wow, these are so amazing Anita. Love them! This is wonderful; it looks hand-painted! 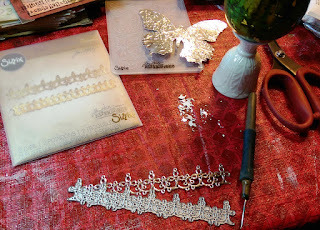 I adore the butterfly; what a lovely idea. I learned so much from reading this post and glad you included so much detail, thank you! I just saw this post! Thank you for the mention in your post! 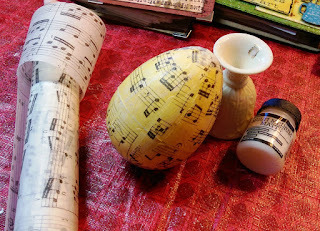 So glad you found a great use for those egg cups...I will look at those differently now when I find them!!! hugs!